Loving Your Dream: Four Friends are Chop Chopping All Over Oregon! Long-time friends Kinnell & Jon Steward and Dennis & Debbie Gorton always look forward to their annual camping trip with several other families, and the meal everyone looks forward to on that trip is Chicken Sundae night! “We do it potluck style and everyone would bring some of the toppings. As new families would join the group they would ask “what is this crazy dinner…I have never heard of a Chicken Sundae…we would just smile and say wait until you try it!” Steward said. In the spring of 2015 the Gortons had an opportunity to sell Chicken Sundaes at a fundraiser for a friend who was battling brain cancer. They were an immediate hit! That June during the camping trip, they decided to bring the Chicken Sundaes to the people. 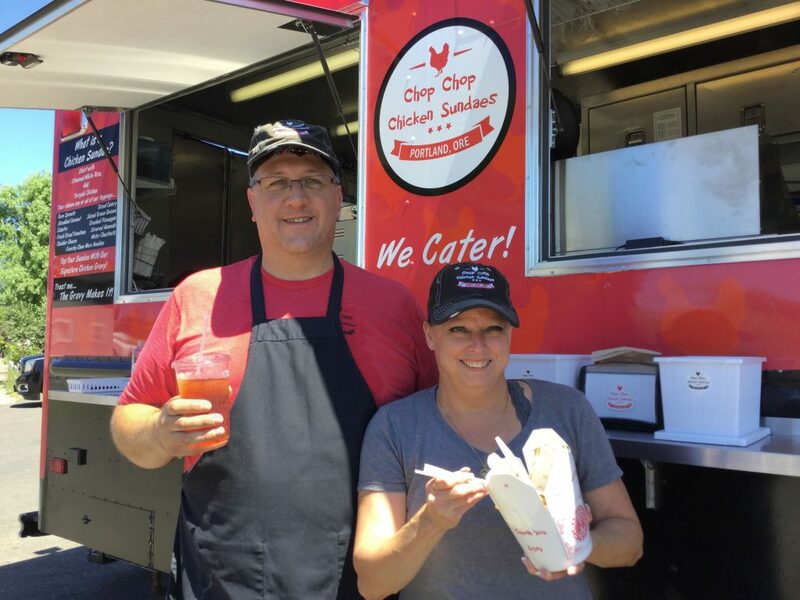 The couples cobbled together their own money to buy equipment and supplies, and two months later Chop Chicken Sundaes made its debut at the 2015 Vernonia Friendship Jamboree. Their first real event was a hit! The couples researched and realized they would never be able to afford it on their own. The Stewards are long-time members with Wauna Credit Union, and presented their business plan to the Vernonia Branch. Right away Pam Weller, and the rest of the team at Wauna shared their vision, and went to work seeing how they could help the foursome realize their goals. “The team at Wauna was super,” said Kinnell. 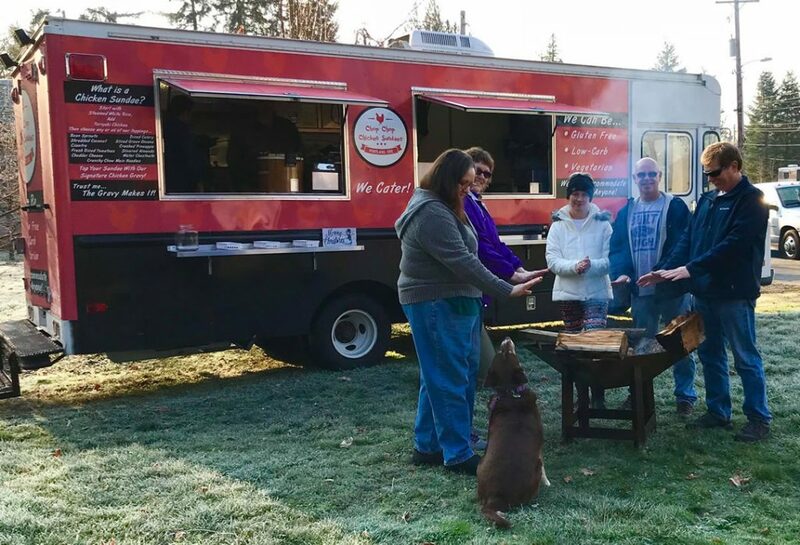 “Pam and Sue worked with us to get the business plan together, and gathered enough evidence to make the loan.” Almost immediately Wauna’s faith in the business paid off and the friends were realizing their dreams of taking Chicken Sundaes all over the state of Oregon & beyond. 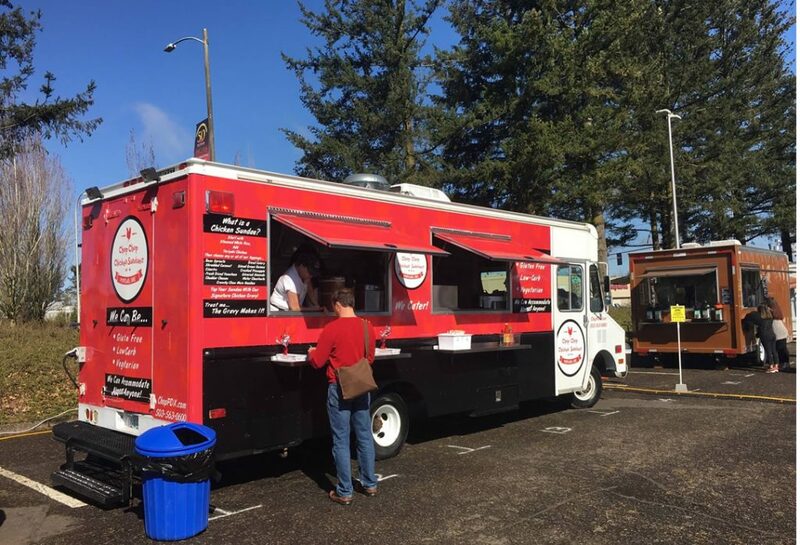 If you want to find out when Chop Chop Chicken Sundaes will be in your area, visit their website at www.choppdx.com, like their Facebook page or follow them on Instagram, and if you are interested in finding out more about what WCU can do for you, visit waunafcu.org.